Let Us Tell Your Career Story! The word karma, translated from the Sanskrit, literally means action. Resumes that rely on lists of skills and responsibilities instead of actions and results portray you as a generic candidate. Want to get hired in a competitive market? Need to position yourself as a problem-solver and present those actions on paper and on professional networking sites in a way that grabs the attention of employers and recruiters? That’s where we come in! Career Karma is a professional resume writing service based in NJ. We work virtually with clients nationwide. Our resume samples and cover letters are published in Resumes for Dummies, Gallery of Best Cover Letters, and Modernize Your Job Search Letters. Let us help translate your achievements into a powerful, eye-catching resume that highlights your contributions and unique value. You are the number one expert on your career accomplishments. So why not write your own resume? According to TheLadders, a professionally written resume is 40% more likely to attract the attention of hiring managers than a resume you write yourself. A professional resume writer understands that a great resume is a marketing tool, not just a dry laundry list of jobs that reads like something out of an HR handbook. We understand why one-size-fits-all resume templates don’t work for job seekers with unique backgrounds, and how smart design strategically highlights content. Resume writers empower you to accelerate your search with access to a wealth of knowledge on the latest job search trends, networking strategies, and technology. Recruiters typically receive 150+ resumes for every open position. 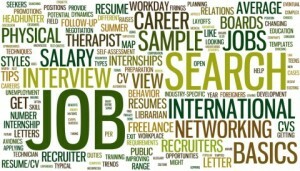 Some companies receive more than 100,000 resumes per year. Employers spend an average of 15 seconds looking at a resume. Employers interview 1 candidate on average for every 245 resumes received. More than 90% of recruiters use LinkedIn to vet and source candidates. Does your current resume stand up to this level of scrutiny and competition? Does your LinkedIn profile attract recruiters and present you as a leader in your field? A targeted, professionally written resume and an optimized LinkedIn profile that reflects your personal brand are essential job search tools. Contact us for a price quote, free resume evaluation, sample resumes, and more information on our resume packages and writing process.